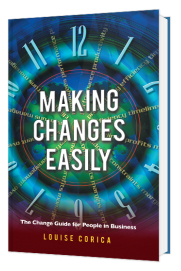 A new book “Managing Changes Easily” for most sized businesses can provide effective ideas and guidelines to support your businesses’ vision for making changes. Louise Corica’s latest book “Making Changes Easily” is a practical change guide for most business sizes providing practical ideas, tips, techniques and templates to help you achieve change from start to finish. It will make your own ‘change train’ virtually unstoppable. 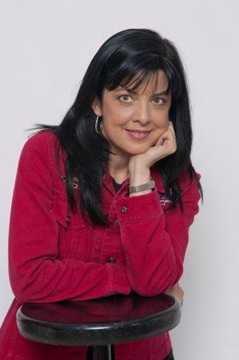 Author and Efficiency Expert Louise Corica said the book evolved from a gap in the information available for readers to be able to access relevant tips and techniques to actually be able to work through their vision of change and achieve success in their business. The book contains 10 Steps so whoever wants to make change in their business or life can read through the book, make a plan to change, and achieve change from start to finish. The aim was to curb the academic material and maintain a guideline approach to ensure readers are able to work their vision of changes to their business. There are references to other reading material if the reader would like to develop their knowledge as to the practices, principles and processes associated with change management. “One of the most common things people want to do is to make change because they sense instinctively that something has to happen and are not sure where to start the change process,” said Ms Corica. “When people read self-help books they often have to try and work out what they have to do to make change. Alternatively, they have to rely on expensive resources to show them how, but now they are able to use the book as a comprehensive guideline on how to work through the process of making changes easily” she said. “We also see people struggling with the “juggling” that occurs in change phases and the need for everyone to be on the same train and travelling in the same direction”. Plenty of templates to keep you on track from start to finish. Louise Corica had been searching for a solution to help businesses make changes easily and has found a solution for most sized businesses. For more information about “Making Changes Easily visit www.time2manage.com.